I saw Me Before You yesterday. As I suspected from watching the trailer Emilia Clarke's eyebrows were incredibly distracting. If I hadn't read the book, if I didn't come to the movie theater with a preconceived idea of what I was about to see, I'm honestly not sure whether the little caterpillars wouldn't have spoiled it for me. 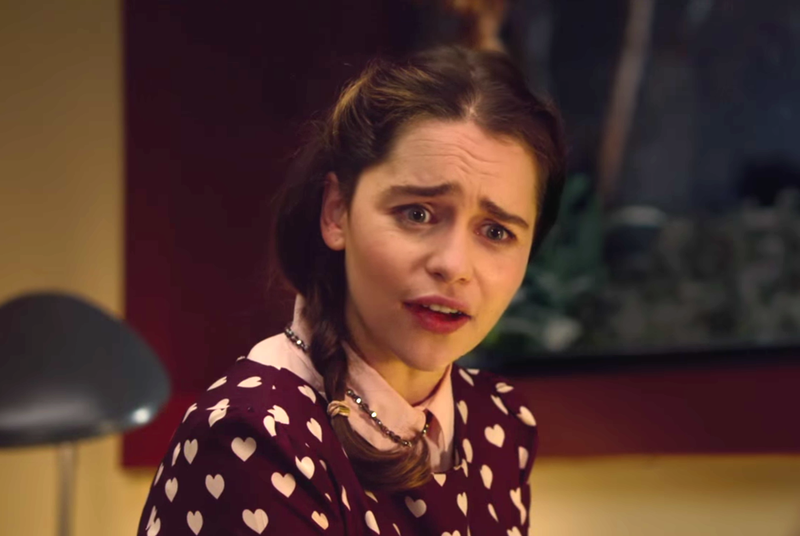 Emilia Clarke is an excellent actress—Louisa is nothing like the powerful and regal young Daenerys in Game of Thrones— so I blame the director, Thea Sharrock, for not taming those brows, keeping that mugging under control. That's her job. Still I did end up shedding the requisite tears, a few anyway. But then, I'm a cryer by nature. As in the book, the character of Lou is gormless, guiless, remarkably ignorant for her age (26) but considering the sheltered environment of her small tourist town, centered around a castle, it's almost understandable. 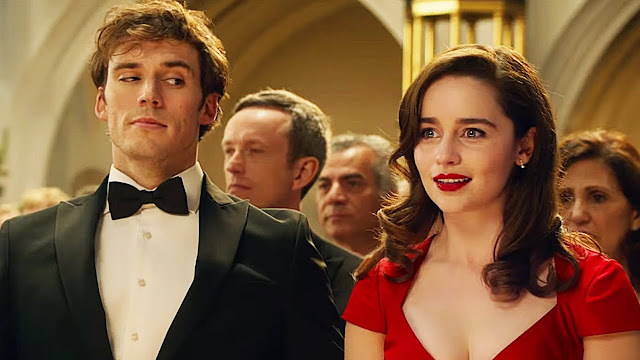 Jojo Moyes, who wrote the script based on her own novel, gives her plenty of room to grow, and Will Traynor, played by lovely Sam Claflin, gives her the push that makes it happen. Sam Claflin was a happy discovery for me. I know his work from one of the Hunger Games movies or another, but whichever it was, he was fairly forgettable, not allowed to be his true, leading man self. His Will Traynor character, a lot less 'happy' than Louisa, is necessarily much more restrained, his body unusable with only the barest movement of his head possible. It's a testament to his talent to see just how much he can do with his eyes and mouth. In the film there's a flashback scene where his friends make a mock James Bond movie highlighting Will's extreme sports daredevil skills. I'm going to go out on a limb and say yes, I can totally understand why Claflin is in the who's gonna be the next James Bond? conversation. The guy is a star. 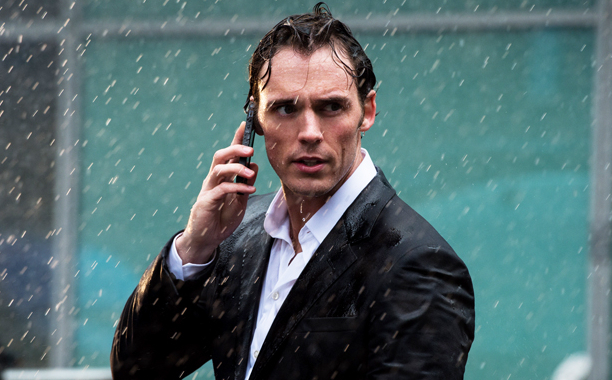 It is Will's internal struggle and the decision that he makes about his life that cause the pathos. We watch thinking he seems so happy with Louisa, doesn't love conquer all? 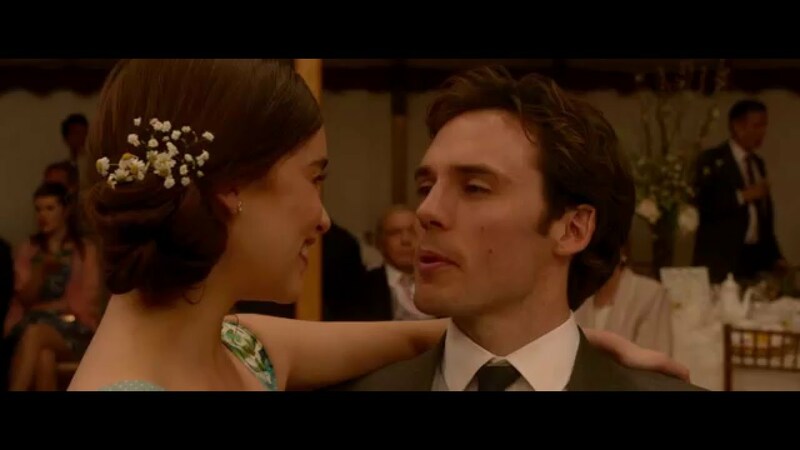 In Me Before You, it doesn't. Love doesn't rule the day, not the romantic happy ending love story type of love anyway. Having read the book, I was resigned to how the story ended, I long ago made my peace with the character's choices. Moyes' script, much pared down from her novel, could have shown us more of Will's painful physical world, helped us better understand his decision but those details are all taken care of behind sliding doors by his caretaker, Matthew played by Stephen Peacocke. Lou is spared the details and unfortunately, we the audience are too, which spares us the total devastation we might otherwise feel. What we're left with is a sweet little tragedy, a poignant story about a couple we've been told about, not the deeply felt, earth shattering hurt we'd feel if we'd gone a bit more below the surface. 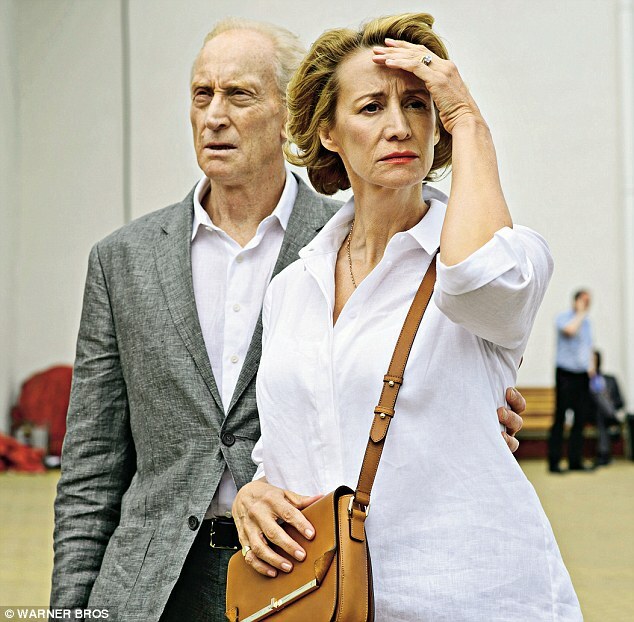 Janet McTear is on point as Will's mum—as the mother of a son, I couldn't help but relate to her well-meaning intentions—while Charles Dance was given so little to do, it barely seemed worth his effort. But perhaps all we need from Dance is his aristocratic, dispassionate air, a sketch of a distant dad. It's always lovely to see Brendan Coyle—one of my Downton faves as Mr. Bates—but again, as Louisa's dad, he had very little to do. Matthew Lewis was fine as Patrick, Lou's boyfriend the fitness freak whose jealousy gave us plenty to laugh about. Overall, it's a light little movie about a deeply disturbing and difficult subject but it was an entertaining couple of hours. I don't do stars, but I'd give Me Before You three very squiggly eyebrows. Because it's still technically Slacker Sunday, here's a video of director Thea Sharrock talking about the characters. Thanks for your heartfelt review. I at first thought that I’d rush to see this one, then I thought perhaps I’d wait so I could watch it and cry in the privacy of my own home. Maybe I’ll split the difference by going to an early matinee some weekday. They are out of control!